One-piece solid stainless steel construction in the shape of a six-point star with an anodized, non-reflective coating. 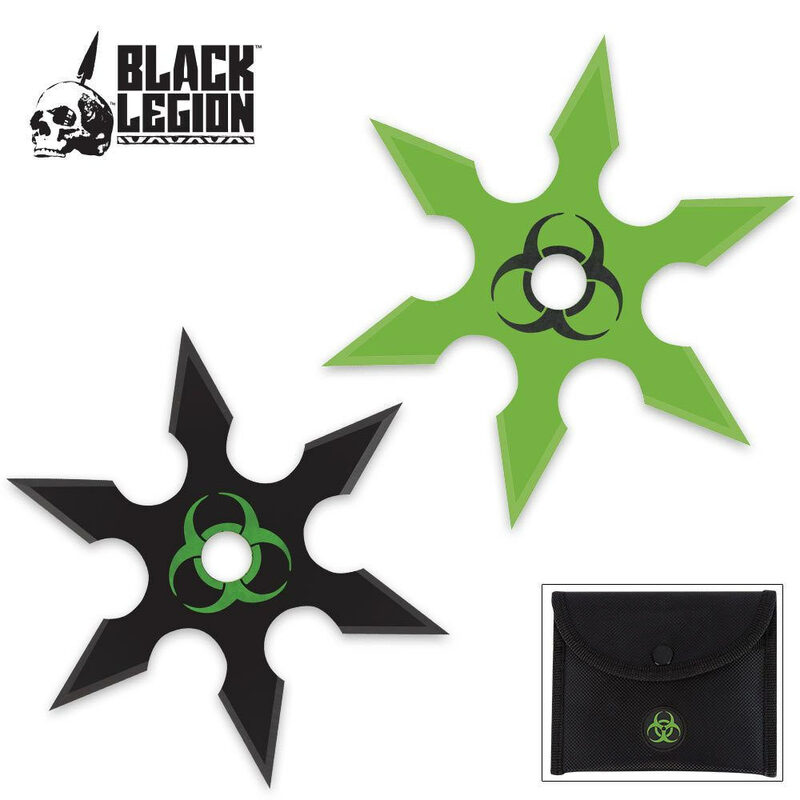 These throwing stars have sharp edges and piercing points for deep target penetration that will do some damage. 4" diameter. Nylon storage/carry pouch included with two-piece set. At 2mm thick these just don't have the firepower of my Black Ronin or my 4"x3mm Perfect points. So why the 5 star rating? Because these are half the price of my other shaken. Throwing weapons are ammunition, not heirlooms. These beauties do what the $10 stars do, so why pay more when these can be the perfect intro to the throwing arts for your budding 'tween. Buy 'em, throw 'em, stick 'em. 'Nuff said.